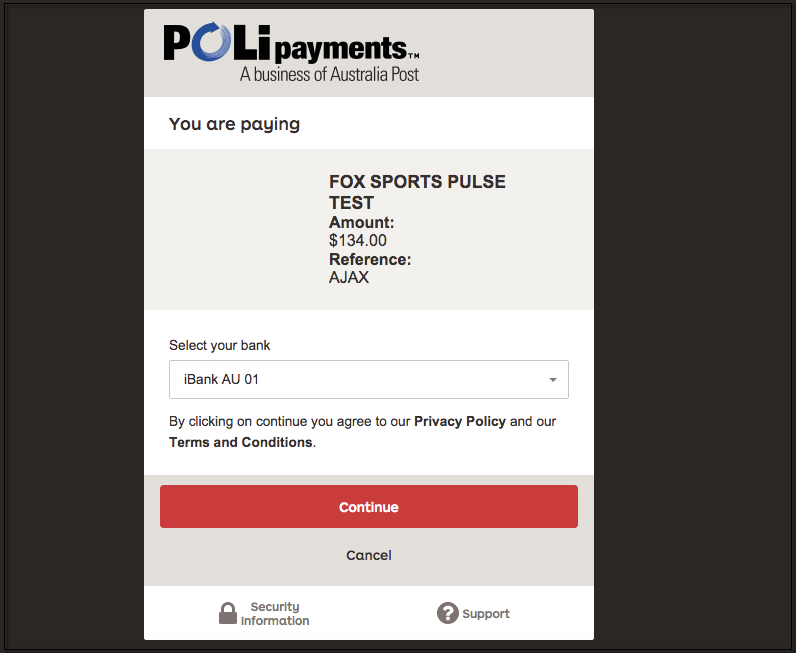 SportsTG now accepts POLipay as a safe and secure method of payment. 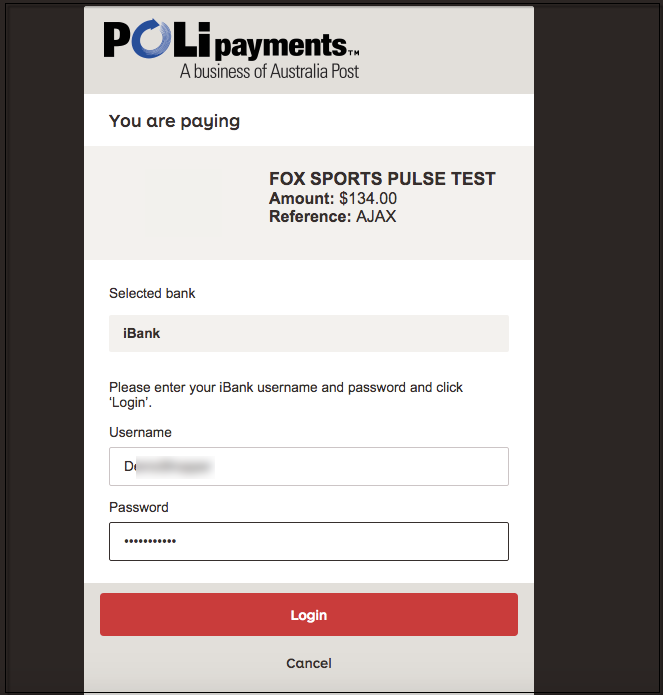 POLi allows you to pay for your registration fees using money straight from your bank account via Internet Banking. 1. 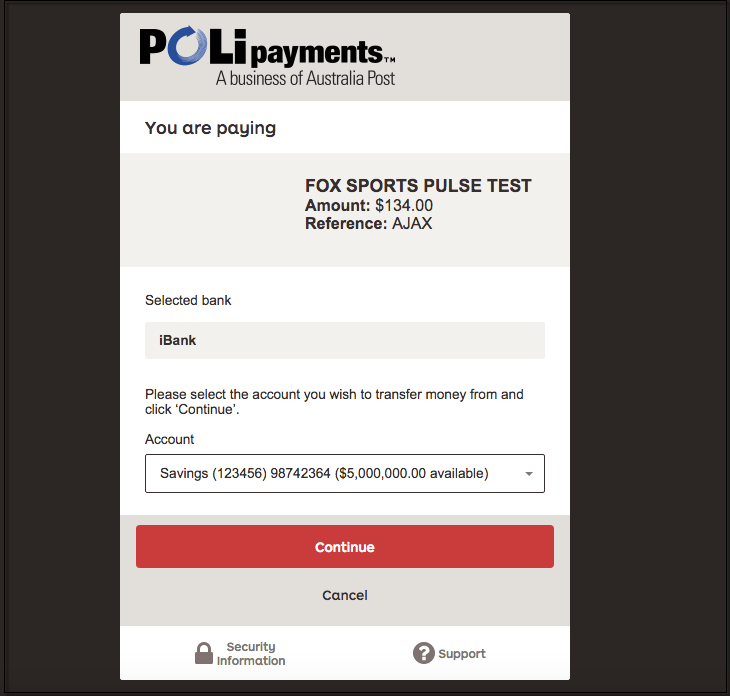 Once you have progressed through the registration form and chosen your product, choose POLi Payments and click Proceed to Payment. 2. a) Choose your bank. 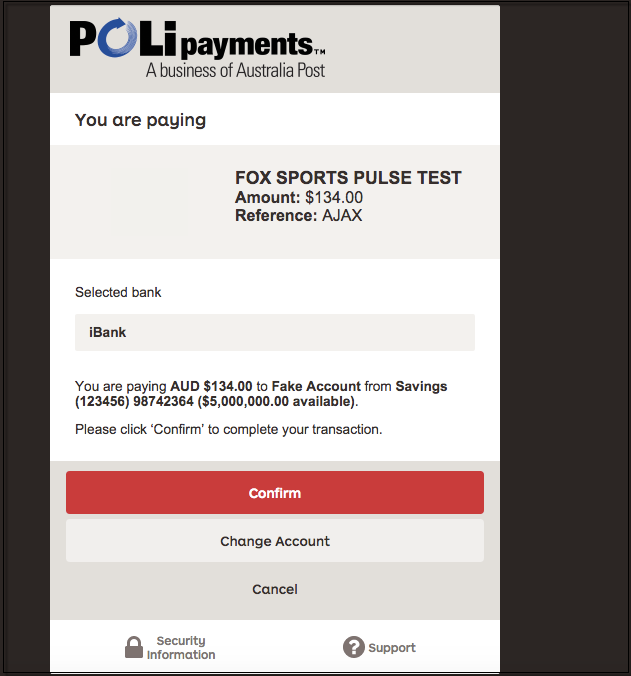 b) Log in to your bank. 3. 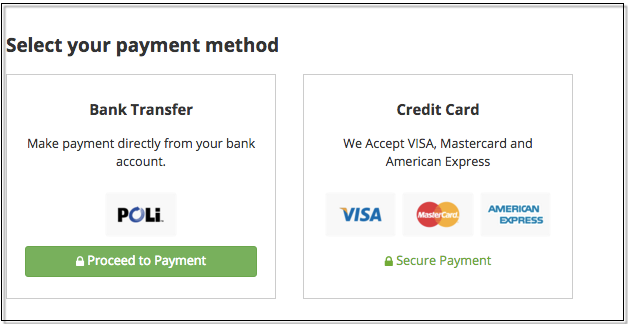 Follow the prompts to complete the transaction. 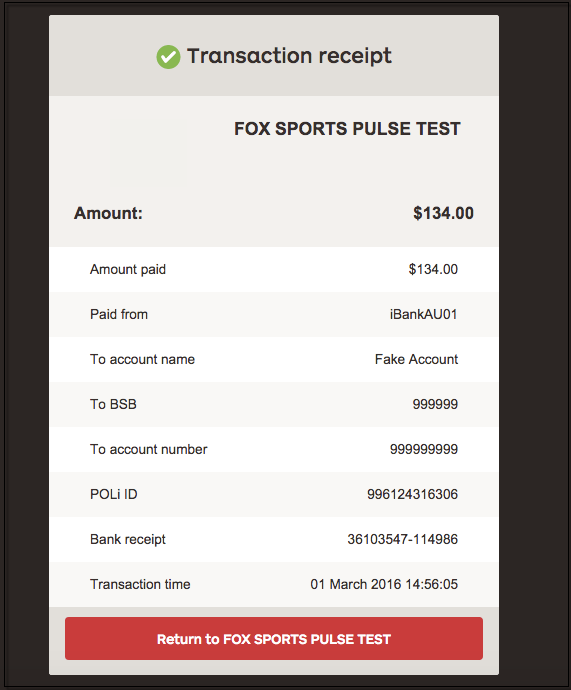 4.Complete the payment and receive your receipt.